I'm Pennywise and my son, Brock,is Georgie. I am in love with Halloween and the new IT movie! 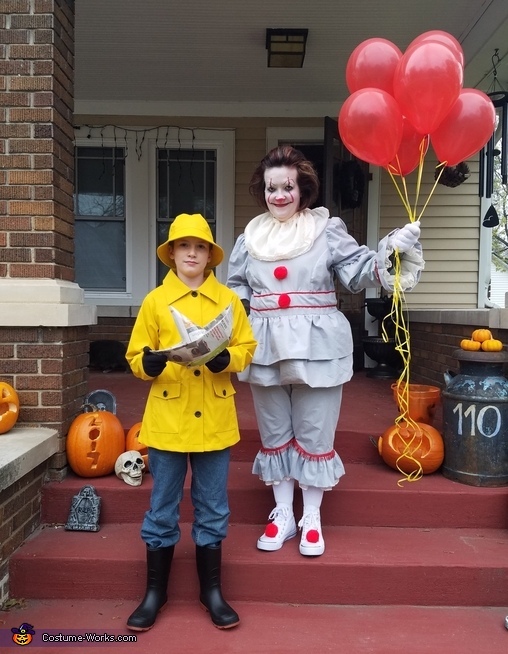 My mother made the Pennywise costume from her fabric she had, using 2 different patterns to piece it together, the raincoat is from Lands End, boots from Wal-Mart, hair and makeup done myself using over the counter make-up. Brock made the boat out of newspaper and I sealed it with clear packing tape.